Need something smaller to fit a kid-size hand? 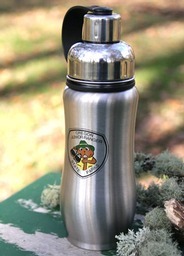 Our 12 oz, double-wall, vacuum-sealed stainless steel bottle has a contoured fit just right for gripping. 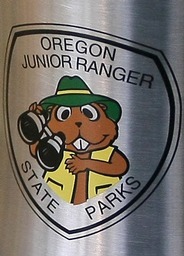 Branded with JR Beaver himself, and sporting a handy loop, this bottle is a cinch for any youngster to carry on your next hike. Comes in silver.